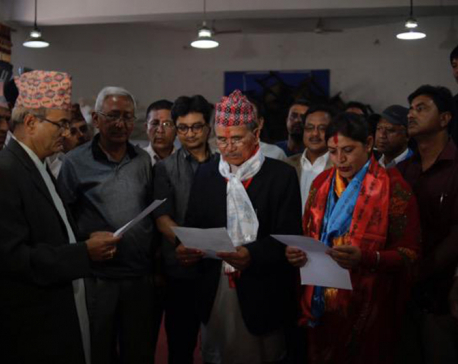 NEPALGUNJ, May 17: The entire Karnali region was numbed by the death in an air accident of then Jumla district president of the Nepali Congress Manab Sejuwal on February 16, 2014. He had been quite popular among the locals. Sejuwal’s wife Kantika was a secondary school teacher at the time. People suggested to her that she must turn grief into strength and press on with her life for the sake of the children. They stressed that she was luckier than many other women who are widowed when still relatively young. She had a government job to fall back on. However, to everyone’s surprise, Kantika resigned from her teaching job a year later and, following the footsteps of her late husband, she entered politics. During the 13th general assembly of the Nepali Congress, she was elected a member of the general committee (mahasamiti). “I was just a ninth grader when we got married. He was so much committed to the party that the children and I were always secondary. It was his dream to do something for the people and country. He would always insist to us to do things for the greater cause,” said Kantika. “I joined politics to fulfill his dream. Now, I am realizing it in a way. I want to bring real change in the lives of the people,” she added. Kantika is not far off the mark. 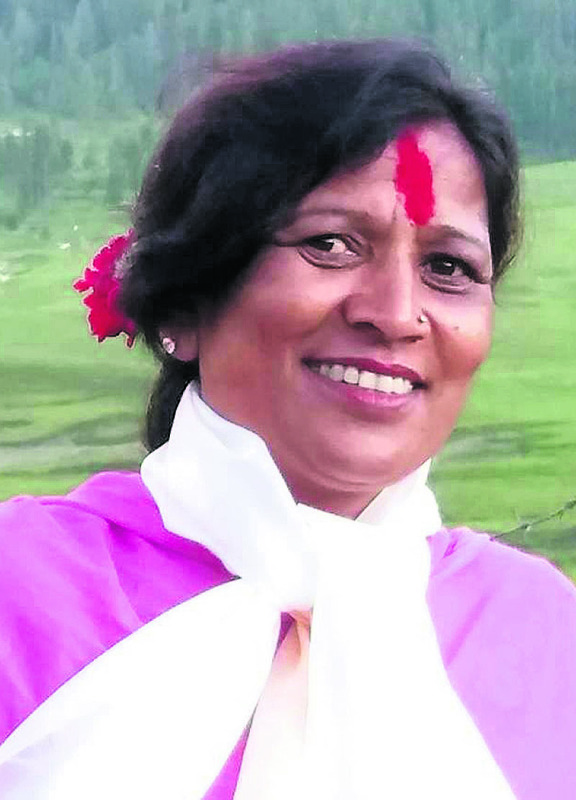 She has been elected mayor of Chandannath Municipality in Province-6, polling 2,777 votes against 2066 by her nearest rival from CPN Maoist Center. Interestingly, she is the only woman elected mayor in the province with its 25 municipalities, apart from 54 rural municipalities. In addition, no other woman has made it to mayor so far in the just concluded local level elections in the country. Kantika graduated in health science and rural development from Tribhuvan University with a first division. The 45-year-old is also the first woman principal of a school in Jumla. Locals do not hesitate to credit her for the school’s outstanding academic performance. The school has also earned medals in inter-school sports and extracurricular activities. It won national level awards under different heads a number of times. “She is a very confident and high-spirited person. This is reflected in the school and in all her work,” said Hansharaj Neupane, a Jumla local.